What Impact Does Group Exercise Have on Retention? 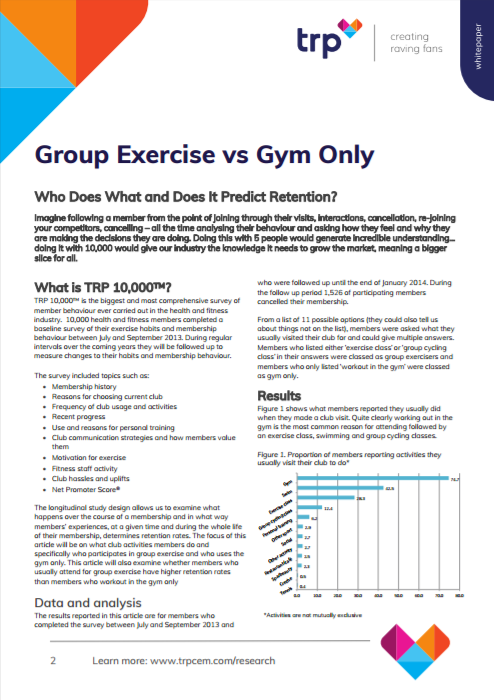 What impact does attending group exercise have on member retention and loyalty? Which club activities do members take part in and what does a typical group exercise participant look like? What should owners and managers of health and fitness facilities do to harness the power of these findings to promote member engagement and loyalty in their clubs?